The U.S. Air Force’s four-star Gen. Terrence J. O’Shaughnessy, who commands the U.S. Northern Command, and U.S. Customs and Border Protection (CBP) Commissioner Kevin K. McAleenan, announced plans to increase the amount of troops assisting the CBP mission on the Southwest border. The Defense Department is scheduled to deploy more than 5,000 active-duty personnel to aid the Department of Homeland Security and U.S. Customs and Border Protection to help bring about “hard target” status at the southern border. As of yesterday, they have about 800 soldiers who are on their way to Texas — coming from Fort Campbell and Fort Knox, Kentucky. By the end of this week — November 3 — more than 5,200 soldiers will have been deployed to the U.S. Southwest border, joining the almost 2,100 National Guard troops participating in Operation Guardian Support bring the military’s total to about 7,300. The troop deployment will be in support of law enforcement with Customs and Border Protection (CPB), an estimated 15,000 Border Patrol and Customs agents. The grand total of law enforcement officers and military troops is estimated to reach 22,300 men and women. CBP has requested aid in air and ground transportation, and logistics support, as well as engineering capabilities and equipment to secure legal crossings, and medical support units. 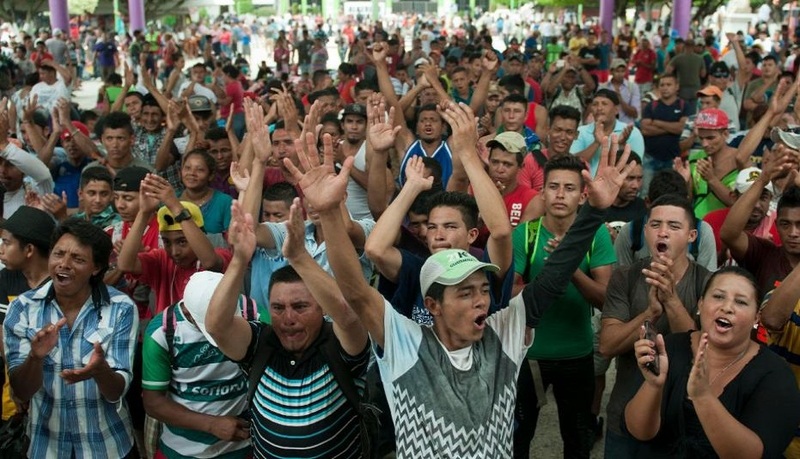 Gen. O’Shaughnessy is the military commander who is deploying his troops to the U.S. border with Mexico to stop an illegal alien criminal plot. 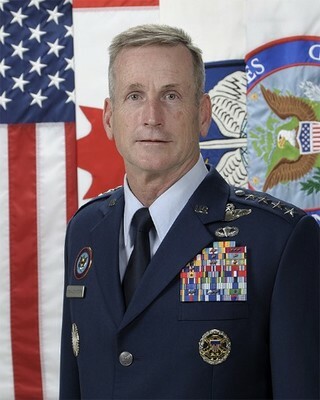 General Terrence J. O’Shaughnessy is Commander, North American Aerospace Defense Command (NORAD) and United States Northern Command (USNORTHCOM). NORAD conducts aerospace warning, aerospace control, and maritime warning in the defense of North America. USNORTHCOM partners to conduct homeland defense, civil support, and security cooperation to defend and secure the United States and its interests. General O’Shaughnessy is a 1986 distinguished graduate of the U.S. Air Force Academy. He has commanded at the squadron, group and wing levels, including the 57th Wing, Nellis AFB, Nevada, the 35th Fighter Wing at Misawa AB, Japan, and the 613th Air and Space Operations Center, Hickam AFB, Hawaii. General O’Shaughnessy has served as the U.S. Pacific Command Director of Operations responsible for joint operations in a region encompassing more than half the globe and 36 nations. General O’Shaughnessy’s joint experience also extends to his time as the Joint Staff J5 Deputy Director for Politico-Military Affairs for Asia where he shaped regional planning and policy in the Asia-Pacific and Central Asia regions, supporting the commanders of U.S. Pacific Command and U.S. Central Command. Prior to his current assignment, General O’Shaughnessy was Commander, Pacific Air Forces and Air Component Commander for U.S. Pacific Command, Joint Base Pearl Harbor-Hickam, Hawaii; Deputy Commander, United Nations Command Korea; Deputy Commander, U.S. Forces Korea; Commander, Air Component Command, Republic of Korea/U.S. Combined Forces Command; and Commander, 7th Air Force, Pacific Air Forces, Osan Air Base, South Korea. General O’Shaughnessy is a command pilot with more than 3,000 hours in the F-16 Fighting Falcon, including 168 combat hours. His personal decorations include the Distinguished Service Medal, Defense Superior Service Medal with three oak leaf clusters; Legion of Merit with three oak leaf clusters; Meritorious Service Medal with three oak leaf clusters; Air Medal with oak leaf cluster; Aerial Achievement Medal with oak leaf cluster; Air Force Commendation Medal with oak leaf cluster; Air Force Achievement Medal with two oak leaf clusters. ← Former CIA Director John Brennan: Once a Political Hack, Always a Political Hack?